Brace yourself people, there’s just all kinds of adorableness coming your way by the bucket full. I mean it, you won’t be able to stand how cute the girls taking over my blog today are. These three little literary titans have managed to write and publish their first and second books all before completing middle school. With summer officially here, their literary sophomoric effort is right on time. Check out the deets below! The talented trio that brought you The Perfect Present is back…with summer stories that will brighten your day, warm your heart, and prove that life is one of the greatest teachers there is. In Too Big for Teacups, Gabrielle Simone introduces us to the Fernandez family, who is on their way to Disney for a vacation. Marlena, the oldest, would rather stay home and practice with her dance team. But her parents make her go, and Marlena trudges through a miserable week of what was supposed to be a family bonding experience. In the midst of her complaining, her best friend, Jennifer, helps her learn a valuable life lesson and a new outlook on family time. In Jackie Lee’s A Lesson for Summer, 14-year-old twins, Vanessa and Teresa, had planned their ideal summer vacation. 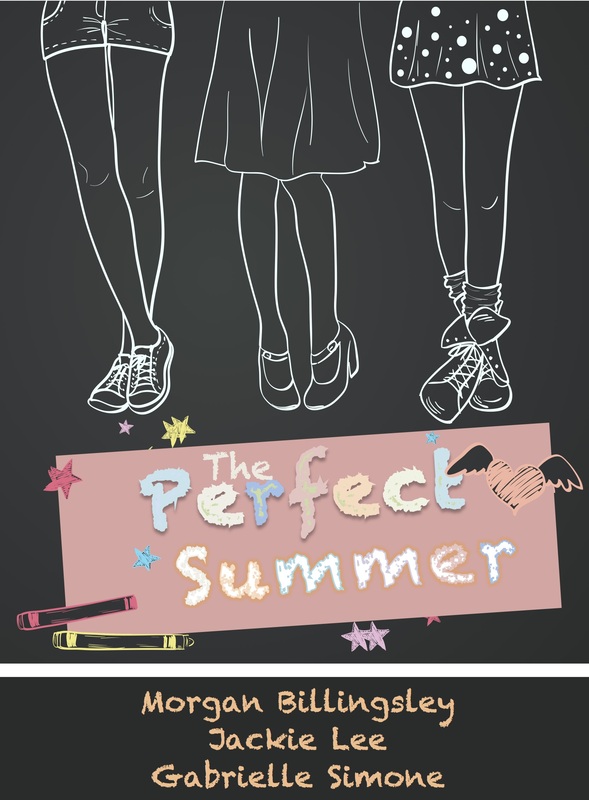 But when their father announces that he’s taking over a new church in a new city, the girls find their summer ruined! Instead of spending their days shopping, talking about boys, and going to the movies, they were going to be moving and volunteering to mentor a bunch of snotty-nosed seven-year-olds. The twins do everything in their power to sabotage their parents’ plans for them. However, in the end, they learn life lessons that truly make this the perfect summer for both of them. Morgan Billingsley is back with twins, Max and Mickey in A Country Summer. And this time, the suburban duo is unplugging from their iPads, Wi-Fi, and Netflix, to spend the summer with their extended family in a small Arkansas town. This was not at all Mickey’s idea of fun. In fact, she hates the boring country and her “classless” relatives. While Max fits right in with his cousins, Mickey soon feels left out and learns a valuable lesson about life – it doesn’t matter what you have…what matters is who you have. These three young writers will inspire and entertain…and leave you with a lesson or two yourself. I knew that look meant that my twin sister did not like what she was hearing. “There you are. We were wondering what was keeping you,” Dad said in a cheerful voice. glasses that made his eyes look like a huge red moon. He also wore too much cologne. Whew! to hear her across the street. “I have heard so many wonderful things about you, young lady,” said the balding man. The lady with the loud dress just kept smiling. My mother jumped into the conversation. swims in the pool my parents had built last winter. You know, just having fun. country town was nowhere in the book. Yet, that’s exactly what we were doing. truck driver. My mom was next to him and they were singing some corny old people song on the radio. Six hours, four arguments and three stops later, they made it to the hotel in Birmingham. It was early evening and all Marlena wanted to do was swim. They were staying in a room that had two queen beds and a pullout sofa. “I call the sofa bed,” Marlena said while putting her bag on it. “I want the sofa bed,” whined Kyle. “It’s big enough for the both of you,” her dad said. Her mother let out a loud sigh then gave Marlena a look. “It’s been a long ride, let’s go swim,” her father suggested. anyone else. Sometimes Chloe even slept in Marlena’s room. 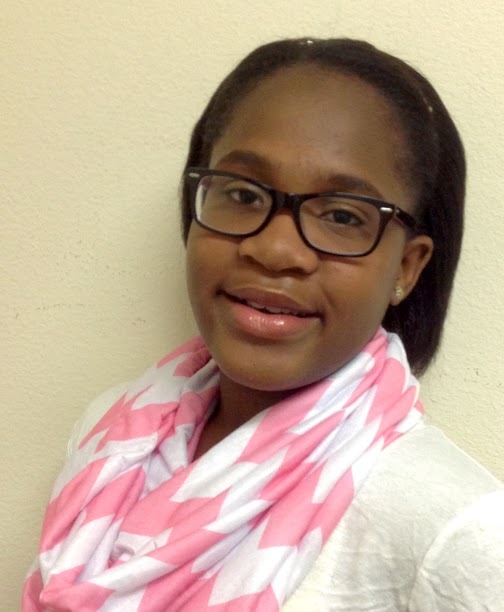 Morgan Billingsley is a seventh grader, who loves writing, acting, swimming and volleyball. Eleven year old, Gabrielle Simone attends Pulaski Academy College Preparatory School, where her teachers describe her as hardworking and passionate about learning. She is the student council representative for fifth grade, plays both basketball and soccer and has a personality bigger than life. 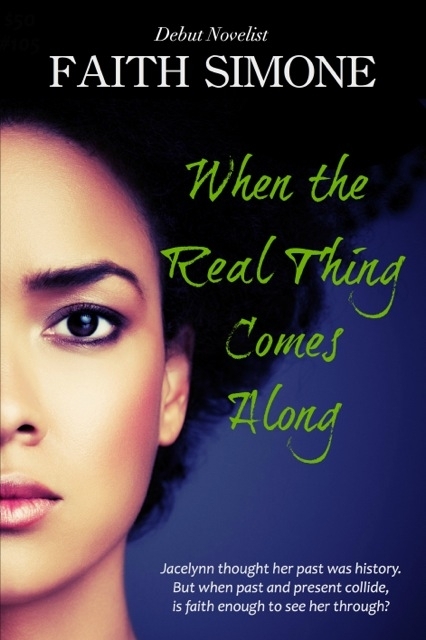 The confident young writer is also the daughter of young adult author Celia Anderson. Having grown up tagging alongside her mom at book signings and lectures, it’s no surprise that she has become interested in the art. Gabrielle says that one day she would like to attend Stanford University in California, but that may change as she grows older. Currently she resides with her mother in Little Rock, Arkansas, enjoys playing dress up, singing and playing with her American Girl Dolls. She lists both her mother and maternal grandmother, whom she affectionately calls FeFe, as the people who have influenced her the most. What did I tell you? Is this not the cutest idea? And those author photos: these girls are serving intellectual divatude all day! #GetYoLife Books for kids, written by kids with strong moral lessons. 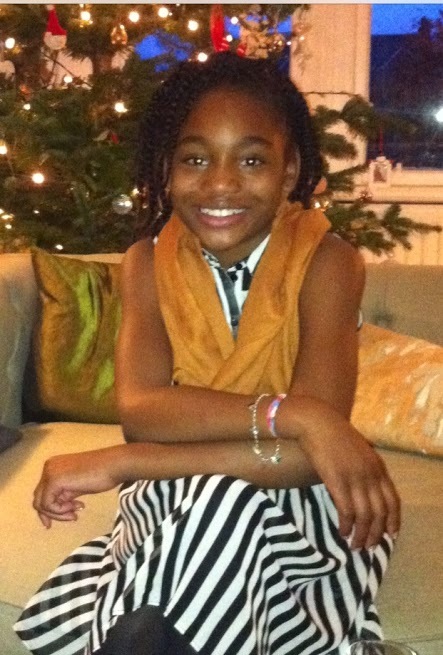 Do yourself a favor and snap one or two up for the child or tween in your life. I don’t think you’ll regret it! Are there any book series you were obsessed with as a child? I was a Babysitter’s Club fanatic. I think my sister was into Nancy Drew. What about y’all? Also, I’m seriously considering writing in the tween or YA genres in the future. Any tips are appreciated! Making the decision to forgive can be tricky. It’s like choosing the smallest box at Christmas. Forgiveness won’t make sense to the immature and it seems unappealing; maybe even irrational. But to the mature mindset, the old saying that some of the best gifts come in small packages plays like a catchy song. The smallest package becomes appealing, even desirable. And when you open it, the blessing inside is more than you hoped for or could ever imagine. That’s how I view forgiveness. I won’t pretend that I’ve always had this lofty view of such a humble state of being. I used to be the type that could hold a grudge until it hollered. I kept record of every wrong and hoped that I would have a front row seat when the Lord exacted His revenge. Then I became a person in need of forgiveness and everything changed. I guess I should clarify that. I became a person aware of my overwhelming need for forgiveness and everything changed. On my best day, I’m in need of God’s forgiveness. On my own I can never measure up. Walking into the fullness of this realization changed me. Then it changed the way I relate to other people. People who are walking out this life to the best of their ability. People who are flawed, just like me. People to whom grace exemplified may be the only glimpse of God they ever see. A part of me always thought that to extend forgiveness was a sign of weakness. I assumed that people would view me as a doormat and take advantage of me. But a funny thing happened when I opened myself up to grace: people surprised me by rising to the occasion. Showing grace gave space for the best in them to shine through. It’s rare that someone does wrong and feels no remorse. We call those people sociopaths, and the reason we have a name for them is that they’re not the norm. Most people feel bad when they fall short morally. Showing forgiveness gives them permission to be a better version of themselves. Just like accepting God’s forgiveness gave me permission to be a better version of myself. I forgive because I am forgiven. It’s cyclical, beautiful and redeeming. My gift to others is a gift to me. Are you a grudge holder? What do you gain by holding a grudge? 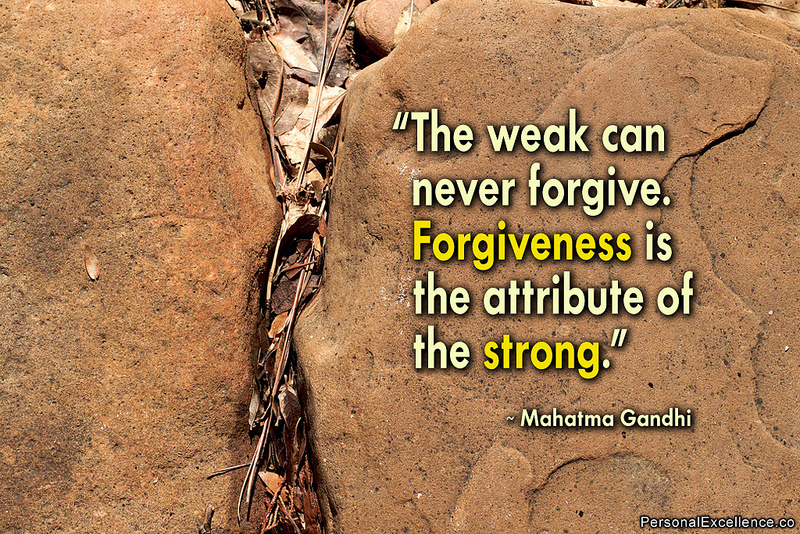 Do you view forgiveness as weakness? Sometimes you can forgive someone and still choose to discontinue the relationship; how do you decide what path your forgiveness will take in each situation? Have you ever been forgiven for something? How did you feel knowing that other person didn’t hold it against you? 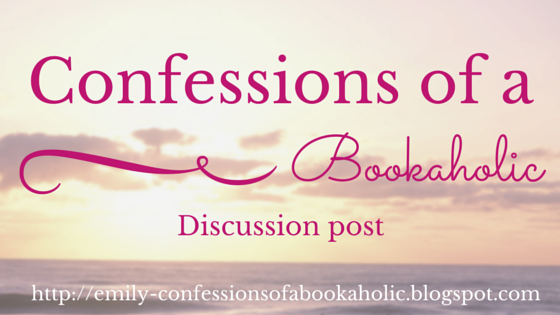 Read other Confessions of Faith here! Today I’m happy to host fellow blogger Emily from Confessions of a Bookaholic. She hails from across the pond so I’m grateful she was able to tear herself away from going ga-ga over Princess Charlotte long enough to give us the lowdown on book blogging. It ain’t all free books and five-star reviews! When I first started blogging I knew nothing about it but here are some things that may help new bloggers out there! When I first opened my blog up for business I did what most people would probably do and reviewed my favourite books. When I started reviewing every book I read I found something unsettling, I don’t always love the books I read! When you are reading and not reviewing you don’t notice as much but when you review a hated book all those bad feelings towards it come bubbling to the surface and spill onto the screen in the form of a rant. My first one being of Phantom by L.J. Smith. Two years ago I read quite a lot but not nearly as much as I do since I started this blog. I went from around 100 books in three years to 100 in one. Before I used to read books, now I devour them. You find when you read a lot you get faster at it, at most this year I’ve read three books in one day – this time last year that would be unimaginable. Similar to the last point, when you start a book blog you will read a lot more – three times more in my case – and when you read more you buy more. Last year I didn’t own a single book, my supply came from my library. But after a while I had read all the good books (it’s a small library) so I had to look elsewhere. I borrowed them from my friend for a while since her supply seemed infinite but after a while I decided to get some of my own. Now it has got to the point that I can’t leave Amazon without buying a book. I log on to buy an iPod charger, I come off with an iPod charger and five books on their way to me. You know how it is, you log onto blogger and a list of the blogs you follow come up and I can almost guarantee that one of the top posts will be someone’s ‘Stacking The Shelves’ or something of the like. You will then become curious and click the link only to find that person has somehow got hold of every book you have ever wanted (or that’s what your irrational jealous brain tells you). You then proceed to press back as quickly as possible or leave a comment that goes something like “Well Jell, ur sooo lucky!! !” (Okay maybe I’m currently watching The Only Way Is Essex – horrible show by the way) when you’re really thinking Life is unfair, why does she/he get that? Am I that bad a person??? If you go through this then there’s only one solution… when you get something awesome rub it in everyone’s faces and start the cycle again. – Rereading a book you loved. – Reading very short books – don’t attempt 400+ pages. – Take a couple of days off from reading then you’ll be eager to get back to it. I’ve heard so many people say they started their blogs for the free books but believe it or not but I had no idea bloggers could get free books. So imagine my surprise when I was emailed by an author asking me to review my book. I jumped at the chance without even reading the blurb. Lucky for me I enjoyed it but now I’m more careful about the books that I accept because there’s some unwritten rule about giving self-published books bad reviews and I don’t want to be the one to break it. I can personally identify with all of Emily’s observations. The main problem for me is that I have to turn down so many review requests simply because I don’t have enough time! I’ve gotten much busier with my own writing and promotion than I was when I first started this blog, and it really cuts down on my extracurricular time…plus I’m training to run my first 5K, but that’s a post for another day! #Hilarious #YallAintReady. WHAT ARE YOUR PET PEEVES ABOUT BLOGGING? HOW DO YOU KEEP YOUR BOOK BUYING HABIT IN CHECK? ANY ADVICE FOR SOMEONE THINKING OF STARTING A BLOG? HOLLA AT US BELOW!